Sparks will fly across Rochester this Independence Day. 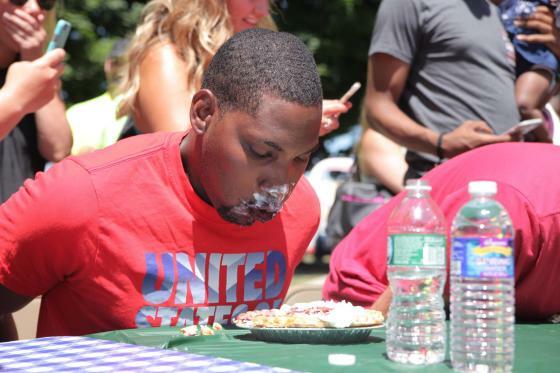 From parades to picnics, there is no limit to the number of Fourth of July celebrations taking place across Rochester and the Finger Lakes. No matter what corner of the region you are visiting, you will find something fun for everyone. Photo above by Montanus Photography. Find more of Montanus&apos; photos here. Join Parade Marshal Mr. Dave Woodward and emcee, 13 WHAM’s own Don Alhart for a parade celebration including Penfield Fire Company and Band, Gates Keystone Club Police Pipe & Drums, Towpath Volunteer Fife & Drum, Downbeat Percussion, Kelley’s Heroes Marching Band, The Savannah Cellar Savers and more! Parade kicks off at 10:00am. Enjoy Rochester Blues Revue and Dog House along with great food and kids activities at Harris Whalen Park from 5:00pm-10:00pm followed by celebratory fireworks! 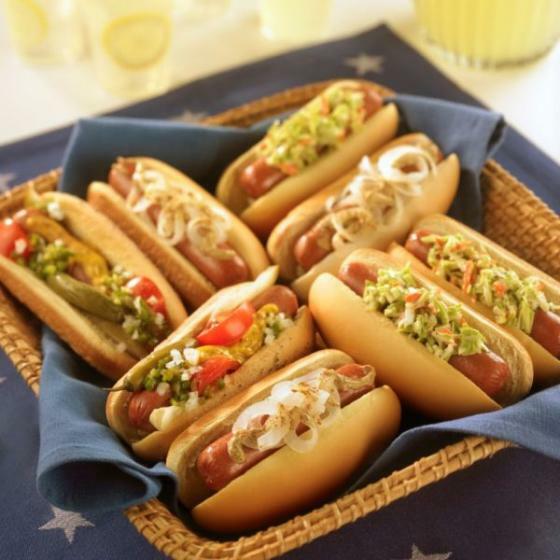 Nothing says the 4th of July like hot dogs! Start your July 4th weekend with the 2017 Hot Dog Challenge. Help us determine the best wine and topping pairing. Tickets are $10 and include one hot dog loaded with three toppings and a glass of wine or craft beer. Children&apos;s tickets are $3 and include a classic hot dog and bag of chips. A time-honored town tradition including community booths, arts & crafts show, pioneer house, horseshoe pitching tournament, street dance, 10k and 2-mile fun run, naturalization ceremony, red, white and chew pie eating contest, and fireworks (on Tuesday the 4th). Grab your friends and family and head on over to Farmington, for music, food and fireworks! Live music begins around 7pm with fireworks following at dusk. Free parking on site. Lakeside residents light up the night with approximately 10,000 flares surrounding the lake by 10pm and fireworks flying in every direction. Enjoy viewing from Long Point Park at Rte. 256 and Long Point Road. Enjoy a lakeside “ring of fire” and fireworks at Sandy Bottom Park, located in the town of Richmond. Enjoy this patriotic holiday in true 19th century fashion, with a fun-filled day of music and merriment at New York State&apos;s largest living history museum. 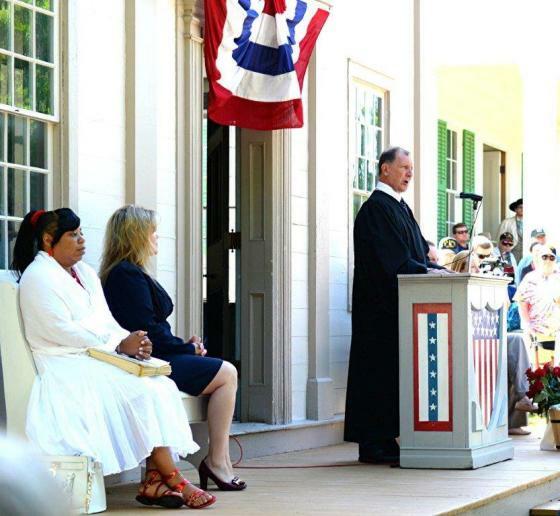 Witness the swearing in of approximately 50 new American citizens from all over the world, a reading of the Declaration of Independence and the 1876 Grand Parade. Family activities include an egg-toss, sack races, and pea shooter contest. Don’t forget to visit the farm with Buck and Dan the oxen, and the museum&apos;s newest residents, baby lambs! What better way to celebrate the Fourth of July than with America’s favorite pastime? The Rochester Red Wings take on the Pawtucket Red Sox on July 4th. Arrive early for pre-game autographs and be sure to stick around after the final pitch for post-game fireworks. This annual Rochester tradition kicks off with a concert by the Rochester Philharmonic Orchestra right on Main Street in the heart of Downtown Rochester. Enjoy a program full of patriotic tunes led by the talented music director, Ward Stare. The celebration ends with fireworks illuminating the city skyline over the Genesee River. Popular fireworks viewing locations include the Main Street Bridge, Ford Street Bridge, and our friends at Corn Hill Landing, West Edge Restaurant and Lounge. Start your day out bright and early with an energizing 5k and pancake breakfast at Twelve Corners/Brighton High School, beginning at 8:00am. Park festivities including rides, food and entertainment provided by The Skycoasters, continues starting at 2:00pm followed by evening fireworks display at dusk. Wagons, strollers and bikes, OH MY! Enjoy this community celebration as children of all age’s parade in their favorite set of wheels, decorated in their best red, white and blue. Musical entertainment and refreshments follow. Kick off the day with an Independence Day Parade at 10am. Followed by a daylong celebration of food and entertainment, concluding with fireworks at dusk. A town tradition, enjoy live music, food trucks, arts and crafts, kids activities, car show, parade, fireworks and more! The car show will take place in Chili Paul Village Plaza from 12:00pm-3pm. The parade will kick off at 5:00pm and travel from Davis Park on Paul Road to Chili Avenue and conclude at the Memorial Park. Enjoy activities for adults and kids alike followed by fireworks at dusk. Enjoy a craft sale at the Senior Center from 9am-2pm followed by a town celebration at 4pm, concluding with fireworks at 9:30pm.